I wrapped up the school year recently with an end of the year Art Retrospective of my Studio Art I students' artwork! This year I had the privilege of teaching a great group of 6th-12th graders who worked so hard and learned so much! They studied the Elements of Art and Principles of Design and how artists use these core components in their work. They also explored the mediums of pencil and charcoal, pen and ink, watercolor, oil pastels, colored pencils, sculpture, acrylic painting and mixed media as they created their work. Before diving into our projects, we studied several artists, including Romare Bearden, Henri Matisse, Albrecht Duer, Andre Derain, Alexander Calder, Georgia O'Keeffe, Wassily Kandinsky and Susan Krieg among others. It was great to discuss these Master Artists and how we could learn from them. All of my students' artwork turned out amazingly and I could not be more proud of what they accomplished! Here are a few photos from the exciting night! It was so fun to see everyone interacting with the art and to see my students proudly discussing their creations! It was such a great night and I look forward to hopefully working with these talented young people again next year! I recently created this original painting for the Painting With a Twist Franchise Gallery. It is always fun to have the opportunity to teach one of the paintings I've created and see how my classes' versions turn out! I had the privilege of teaching it last week and I was thrilled with how amazing the paintings looked! My class did so beautifully! I just loved their paintings! My favorite part of the PWAT process is that even though we are all painting the same painting, everyone's turns out a bit differently due to each person having their own individual artistic style. I love how everyone puts their own unique "twist" on their artwork! Such a fun class! I can't wait to teach it again! Black Friday is Fine Arts Friday!!! Now that our tummies are full of that amazing Thanksgiving yumminess, we can start thinking about Holiday Shopping!! I know some of you out there live for this...amazing Black Friday deals, beat the crowds, enjoy the festive decorations! This year I humbly ask you to consider doing at least some of your shopping through the vast array of Artisans out there! Black Friday is also Fine Arts Friday and artists everywhere are encouraging you to support the arts by doing some of your holiday gift giving with handmade treasures! My studio is open for business as well and I still have room for a few more commissioned pieces for this upcoming holiday season! Here are a few ideas of special handmade gifts to give that special someone! Pick a special symbol and verse or quote that represents your loved one and have a custom name canvas created just for them! The Legacy Tree is my unique take on the Family Tree! A tree with your family members' names on a layered mixed media background makes a very special gift! Add in a special quote or verse to make it even more personal! Similar to the Legacy Tree, the Legacy Cross can be customized to represent your loved one. I can include handwritten notes, letters, etc. in the piece as well. Any symbol can be used, not only the cross! Feel free to browse my work to see other examples!! Please contact me for more information or with any questions at tatteredartstudio@gmail.com. Once you place your order I will email you a questionnaire to complete to help with the personalization of your piece. Thanks so much for supporting the Arts and happy shopping!! May's books I'm reading/have read! I love to read! The library, bookstores (especially Half Price Books) and the Kindle shop are a few of my favorite places! Even as a young girl I can remember the true bliss I felt walking out of the library with a huge stack of books, feeling excitement and anticipation. I couldn't wait to get home and dig in! I still feel that way! I don't get nearly as much time as I would like to read these days, but it is a very rare night that I don't fall asleep reading a good book. Many times I stay up way too late because I can't tear myself away from a great chapter! I love several kinds of books... contemporary and historical fiction, Christian nonfiction, biography, young adult and creative business books. Now that the summer is shortly upon us, I'm looking forward to long lazy days of reading! We will see if that happens, but I am committed to having a scheduled reading time most days with my kiddos! It has always been so important to me to instill a love for reading in them. 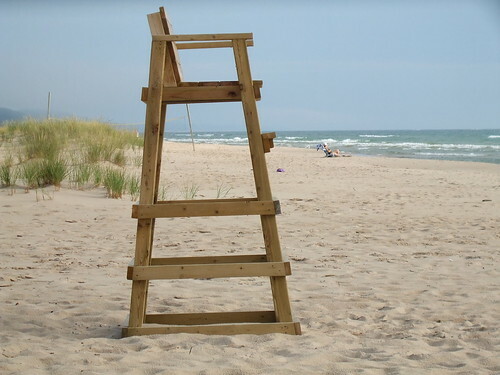 The summer is a bit less chaotic and allows for a little more down time. We also participate in the fun reading programs through the local library and bookstores. Here are a few books I've been working through this month so far. I hope to finish a least a few before the month is up. I picked up Art, Inc. because I felt it would be an awesome resource for my creative business and it did not disappoint! 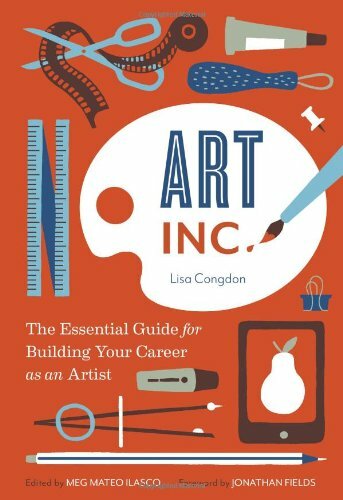 Lisa Congdon is an artist and creative business woman herself and speaks from great experience. She not only shares her story, but also has several interviews with other creatives throughout the book. She gives great advice covering all areas of creative business including getting organized, selling your work, involvement in shows, licensing, working with galleries and marketing using social media, just to name a few! This is a book I highlighted a lot and will stay on my shelf as a helpful resource for years to come! Oh, this was a beautiful book! I truly loved this story and couldn't put it down. The book follows Victoria as she is emancipated from the foster care system at age 18. At times heart-wrenching, and at others heartwarming, this is Victoria's story of survival. 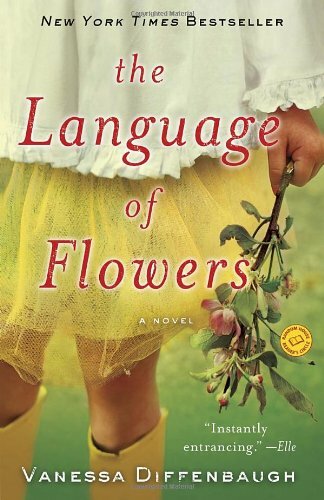 As a coping mechanism she becomes fluent in the language of flowers and you see how this carries her throughout the ups and downs of life. Diffenbaugh tells her story with such realism, jumping between Victoria's past and present. This one has a sure place on my list of favorite books! 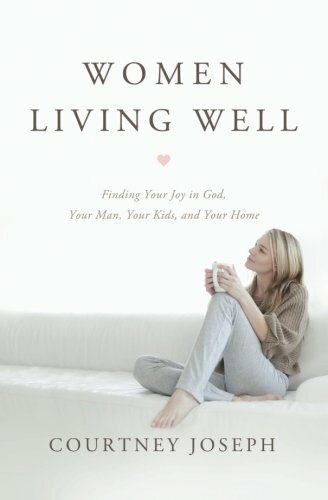 I've really enjoyed Courtney's blog, Women Living Well, and her online bible studies through Good Morning Girls. She offers great insight into the role of a Christian wife, mother and homemaker and her book takes these topics and expands upon them. I'm always looking for ways to grow in my roles as a woman and I really enjoyed Courtney's wisdom. She had some especially great ideas on personal growth and teaching spiritual truths to our children. This is another book I highlighted throughout! I just dug into this book this past week and so far I love it! It is all about making your dreams and vision for your life happen. 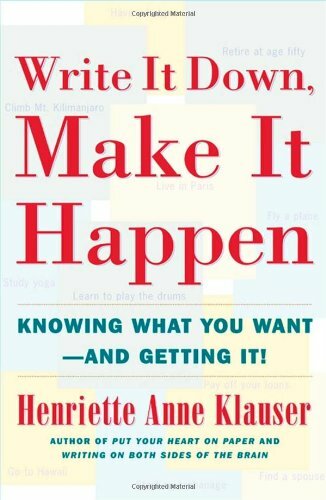 Klauser claims there is great power in writing down your goals, dreams, desires and hopes. When we write these important ideas down it plants the seeds to begin the growth and development of these ideas, taking them out of our mind and thoughts alone and putting them into reality. It is full of stories from other people, artists, actors, and business men and women, who share their experiences with what happened once they wrote their ideas down. I may write more on this book next month as I read further. Finally, I'm diving into two fiction books this month, Tumbleweeds by Leila Meacham, and Reconstructing Amelia, by Kimberly McCreight. I look forward to sharing more about them next month! I'm linking up with Modern Mrs. Darcy's Quick Lit this month! I love her website for all things reading! Check it out when you have a chance! So, what is on your nightstand these days? Any recommendations? Happy Holidays! With the hustle and bustle of the season well underway I wanted to give you a creative and unique gift option! I still have space for a few more commissions before the holiday deadline arrives! Examples of completed past commissions and original work. Thanks so much for considering Tattered Art Studio for your holiday shopping! Layering collage elements and more paint. Adding the tree and leaves. The tree was created with recycled magazine pages. The leaves hold family member names. The verse was a unique sentiment chosen for the recipient by my client. The dog was created with watercolor and collaged onto the painting. Wrapped and ready for it's new home!! It was such a joy to create this unique piece for a special person in my client's life! Stay tuned; I have a few more commissioned Legacy Tree paintings I did for other clients that I will be sharing here soon. Welcome to all my visitors from The Artful Tribe's Summer Blog Hop! I'm so happy you are here! What a fitting way to finish off the summer; a creative adventure that will hopefully inspire you well into the fall! Every summer has a story.... For me that story was chaos!! We were blindsided in early June that the owners of the home we were renting wanted to move back in. They were asking us to vacate before our lease was up in August, so we jumped into action. In less than two months, we house hunted, found a house, ventured through the very long and drawn out loan process and finally got the keys to our new home. We also had to move out and move in. There is a reason they say moving is one of the most stressful life experiences!! What a chaotic whirlwind! The good news is we are finally settling into our new home and loving it! God provided everything we needed and this home is truly a blessing! The bad news is not much creating happened over the summer because I was packing up my studio (as well as the rest of our lives)! I've been working hard on unpacking and organizing my new studio space and I'm super excited to get in and start working again. I'll show you pictures of the new studio soon! In the meantime, here is a little peak into a new piece I'm working on. Beginning background layers with paint and texture. Additional layering with paper, bible pages, tissue paper and paint. This piece will follow along the same theme as my Indian Paintbrush painting. I'm planning on bluebonnets this time, but we will have to see how the painting progresses and if my initial plans change! Again, a warm welcome to any new visitors from The Artful Tribe! Here are a few questions we are all answering as part of the blog hop! 1. My story so far... If you'd like to know more about me and my story, feel free to check out my "About" page here on the blog. In a nutshell, I've always been drawn to art and felt the need to create. I studied art throughout my school years and went on to get my art degree in college. I taught art for several years in the public school system and now teach painting classes part time as well as create mixed media original art that I sell. 2. My goals for the future... I hope to continue to take on commissioned work as well as create and sell my own inspired pieces. I would love to see a Visual Arts ministry develop at my church. I also have been feeling the calling to take on some private art students, perhaps at the high school level. I love the idea of a mentoring relationship built through creating together! 3. My biggest influences... Oh, how I love to follow other artists! One of my favorite things to do to stay inspired and continue to grow is to take classes from other creatives! We can learn so much from each other! Some of my biggest influences are Kelly Rae Roberts, Jeanne Oliver, Christy Tomlinson, and Wyanne Thompson. They are amazingly talented and are willing to share their passions, techniques and stories with the world! 4. My favorite media.... When I discovered mixed media several years ago, I was in love! 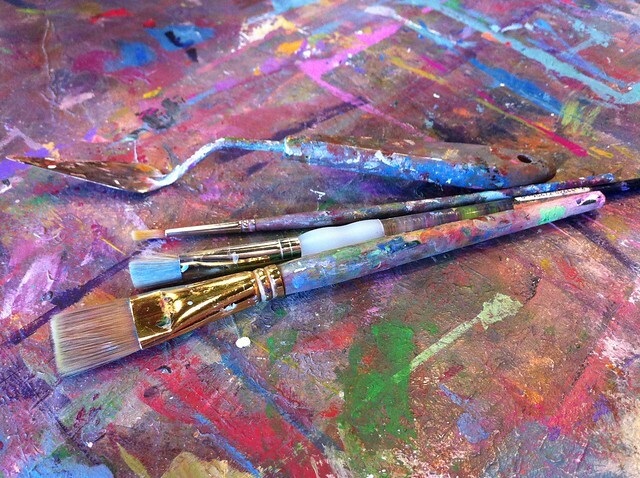 It is the perfect marriage of paint, collage, texture, and any other wonderful art supplies my heart desires to use! Along with mixed media, I love watercolor. I studied watercolor in college and continue to explore it as time allows. I hope to make time for more of it in the future! Recently, I was invited to donate a piece of my work to a silent auction benefiting the art program of a local high school. It was such an honor to be asked to be involved in this as it is a cause very close to my heart! As a former art teacher in the public school system, I know first hand how quickly the budget money disappears, often before the year is even close to being over! I was so happy to contribute to such a good cause! We now live in the Hill Country area of Texas and it's beauty of full trees, rolling hills, rocky cliffs and of course breathtaking wildflowers has truly been inspiring me! I chose to create a mixed media piece illustrating the beauty of one of our gorgeous wildflowers, the Indian Paintbrush! Indian Paintbrush by Jennifer Snellings, Mixed media, 11"x14"
Here you see the beginning layers of the painting, the paint, paper, more paint textures and stamps all combining to form several layers of goodness! Once the foundation was created, I began to focus on the focal point, the flowers themselves. They were created with torn paper from magazines. Once the flowers were pieced together, the painting was ready for its finishing touches. I added the verse and brought everything together with some additional paint here and there. I'm so thrilled to share that this piece was successfully auctioned and is now hanging in its new home! Thanks so much for stopping by and viewing my new work! One of the most significant parts of creating my art is to make something that is truly personal and meaningful for my clients. Recently I had the privilege of creating a new painting for a special High School Senior's graduation gift! I worked closely with the recipient's Mom and she gathered special letters and notes of encouragement from dear family and friends. I also learned that one of her favorite symbols is the anchor. Taking all of this information, I incorporated it, along with my artistic vision, and came up with a unique keepsake that will hopefully always be a reminder of this special time in her life! I began the background of the painting with a collage of the letters (using copies of course) and layered them on the canvas sealing them with gel medium. On a side note, all of the original letters were safely saved in a special scrapbook, not only allowing each to be read in full, but also creating another meaningful element of the gift! Once the collage dried, I added layers of paint and stamps creating a richly textured surface. First layers of acrylic paint. Layering of stamps and other textures. Next, I sketched the anchor and transferred the design onto the canvas. I filled the shape of the anchor in with pre-selected parts of the letters that for the most part included the signatures of loved ones and special phrases or sentiments; all parts that I wanted to highlight. Once the anchor was complete, it was time for the verse and a few other sentimental collage pieces to be added. Then everything was tied together with a final layer of texture created with paint and stamps. It was such a joy and privilege to create this meaningful piece for this special Graduate! If you are looking for a unique, personal gift for a special person in your life, I'd love to help! If you are interested in my commissioned paintings, please contact me at tatteredartstudio@gmail.com! Amazingly, summer is just around the corner and we've recently found ourselves right in the middle of the end of the school year craziness. My son finished up his last day this past week and I really wanted to do something special for his teacher. She isn't only an amazing teacher and has worked incredibly hard this past year, she is also a sweet friend whose entire family has been a blessing to us. We attend church with them and her daughters have both been loyal babysitters and helped us out greatly over the last few years. I wanted to do something unique for her that would be a special keepsake and something she could hopefully use in her classroom for years to come. So I created an original painting for her! First I created the background on stretched canvas using acrylic paint, decorative papers, a vintage book page, stamps and ink. Teachers Touch a Heart by Jennifer Snellings, Mixed Media painting 8" x 10"
After creating the layered background, I collaged the apple onto the canvas using magazine paper and gel medium. Finally I added the quote and finished it off with some Stabilo pencil to help define the apple and quote blocks. I gave her the painting along with a gift certificate to the studio where I work, inviting her to come enjoy a relaxing evening of painting! Hopefully she feels very loved for her hard work and dedication! Now I'm off to find some ideas to show my daughter's teachers how much we appreciate them! Her last day is next week! Are you looking for a unique gift for a special teacher in your life? I'd love to create a special keepsake honoring your favorite teachers! Contact me for more information on ordering a commission at tatteredartstudio@gmail.com! Welcome to my new creative home! Thank you so very much for visiting! I'm so glad you are here! Please, make yourself at home and look around! Let me know if you have any questions about anything or if you see anything you like. I look forward to sharing my art, my life and my heart here with you! I hope you'll come back often to see what I've been up to! I do want to let you know I am accepting orders for commissioned paintings. We have graduation and Father's Day coming up in the near future so if you are looking for that special one of a kind gift, let me know! I would love to create a unique keepsake for your special someone! Check out my Legacy Trees and my Commissions pages for more information! Thank you again for stopping by and visiting my new online home! I look forward to sharing many more creative adventures with you in the future! Not too long ago I had the privilege of creating two custom pieces for a dear friend to give as special gifts to loved ones. She was wanting something handmade, unique and personalized for two very important people in her family. So after visiting with her and getting some ideas of what she was looking for I created these two mixed media paintings. The paintings include collaged papers, acrylic paint, family names, special word attributes, and a bible verse: "Generation after generation stands in awe of your work; each one tells stories of your mighty acts." ~ Psalm 145:4. She was thrilled with the way they turned out and I was so honored to have been involved in creating a special keepsake for her family! The holidays are fast approaching and I wanted to offer a unique gift idea for a special family member! Maybe for the person who has everything and you never know what to give them! The Legacy Tree is a unique, handmade, customized mixed media painting. We will work together picking out size, colors, names included and any other special features you'd like your painting to include. Contact me for more information if you are interested, but please act quickly as my custom orders for the holidays are filling up! Wow! What a whirlwind these last few months have been!! It is hard to believe the summer is over, school has started back up and the fun of the Autumn months is upon us. Not the heat of course; it's still a simmering 90+ degrees here in Texas! But, we have hopes for that first real cool front to come through soon! We've been busy getting back into those all familiar routines and schedules with the beginning of school and all that comes with it. We had a great summer! Probably all the more reason it flew by! The kids and I were kept very busy with drama camp and a month full of swim lessons! I enjoyed watching my kids become stronger swimmers and more confidant in the water. They loved being outside and being able to find relief from the heat in the water. We also made time for a family vacation to the beach and enjoyed some much needed R & R after a busy summer of my husband traveling with the youth on their annual summer camp and mission trips. We headed to Galveston and stayed at the amazing historical Hotel Galvez! In the lobby of the Galvez. We enjoyed lounging at the pool! And had fun jumping in the waves! On the artsy side of things, I've been teaching a lot this summer which is always fun! The Painting With a Twist studio where I work. Also the studio franchise where I work held a company wide art contest for new art to be created for our gallery. I submitted two paintings that can be taught individually or together as a couples painting. I used several of my favorite things...trees, words and some of my favorite colors. I'm hoping it is a painting that people will be excited to come paint at the studios and then hang in their homes! They are called Faith Trees. I'm teaching both of them later this month. I can't wait to see how everyone's turns out!! Finally, our big news is that we moved...again! LOL! This time thankfully, it was just about 5 minutes away from where we used to live. We found a larger home directly in the neighborhood where our daughter goes to school! This home was totally a God thing; He brought all the details together. I'm especially excited to now have my own studio space, while my hubby will have his own office/man cave space! No more cramped sharing! Not that I don't love working in the same room, it will just be nice to have the extra space!! So, we've been unpacking and settling into our new place. We really love it! I'll show you a little peak of my new studio space soon!! 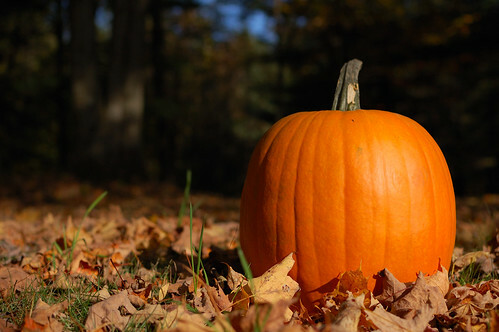 Well, I'm so excited that Autumn is finally here and I'm looking forward to the fun fall happenings that come with it....like the weather changing, visiting the pumpkin patch, sipping warm cider and cozy homemade soup nights. It makes me want to do some fall creating as well!! Maybe some autumn trees with all the beautiful colors are in order! I had the privilege of attending the Catalyst Conference last month with several leaders and staff from my church. Wow! What an amazing experience! I'm still trying to unpack and take in all I learned and experienced there! We were able to hear incredible speakers such as Andy Stanley, Craig Groeschel, Jon Acuff, Erwin McManus, Dave Ramsey and two of my absolute favorites, Lysa Turkeurst and Brene Brown! Along with the great speakers, we had breathtaking worship with Matt Redman, Anthony Evans and David Crowder. So very moving and exciting to sing along in person with some of my favorite artists!! There were so many things I loved about this conference. It motivated me, encouraged me, challenged me, stretched me and moved me. Aside from the outstanding speakers and awesome worship, one of my favorite parts was seeing other artists in action and the fact that they used visual artists as part of the worship and overall experience. This was the amazing Hannah Renae Joiner painting live as her Dad, Reggie Joiner spoke. We also had an artist on stage creating live with a pottery wheel. Unfortunately I missed her name, but it was awesome to watch her create! I LOVE the images captured by the photographer(s) at Catalyst. They are works of art in themselves!! I'll talk more about the impact Catalyst had on me later, but for now I want to speak into the need for more visual artists to use their art to worship and witness and share God's love. It is my prayer that churches will begin to embrace like never before the visual arts and create opportunities for painters, sculptors, printmakers, illustrators, etc. to have the stage along side the amazing musicians, dancers and speakers who are already there. I want to see Visual Arts Ministries blossoming up in churches everywhere, opening the doors to artists in the communities than may...or may not...be believers. I want us to use this gift God has given us to create for His Kingdom purposes...for His glory and honor!!! So artists, who is with me? I know it is happening out there, but are you a part of it? Lets rise up and make this a mainstay in our communities today! Have you thought about praying about a Visual Arts Ministry at your church? Did you stay up to watch the Oscars last night? I have always had a tradition of watching the show. It actually all started when my mom was pregnant with me! She tells the story of watching the awards while she was counting the minutes between contractions on that night some 30+ years ago!! Okay, I'm showing my age!! :) Back then the Academy Awards were on the end of March, and always fell close to my birthday. Now they are on in February, but I still never miss them! Last night I was so inspired and moved by "Inocente", the film that won the Oscar for best short documentary. When he said this I wanted to run up on stage and just hug him, not that I was there to do so, but I applaud him nonetheless!! What a wonderful show of support for the arts and I believe this includes support for the arts in schools as well! As an art educator, of course this is a cause that is so very dear to my heart. I believe with the education budget cuts and higher focus on the state tests, the arts, especially the visual arts it seems, are being done away with at a high rate! In fact, when I left my teaching job to move to another city for my husband's new job and have our first child, the art program in my elementary school was done away with rather than finding a replacement art teacher! We must continue to fight this! We must stand up and fight for the arts in our schools! Parents need to be the voices for their children! Teachers and parenets need to continue to advicate for the importance of the arts. It has been proven time and again that the arts have a significant impact on the success of student performace in all areas of education. Here is a great article on the importance of art in child development as well as in academic performace. I hope you are encouraged to make a pledge to support the arts! Expose your kids to the theater, museums, classes, and artists that you may know. Support them in their passions, especially if they are showing a love for creative pursuits. God is the ultimate Master Artist. He was the first Creator and what is so incredible is that He instilled in us the ability and gift to create for Him! I'm so very thankful for this!! If you would like to see "Inocente" the documentary, it is on Itunes and can be found here! !